Today is Friday the 13th. There are many theories of why it is considers to be unlucky. One of them stems from the last supper when 13 people sat at the table the day before the Friday that Jesus was crucified. There are other theories here. 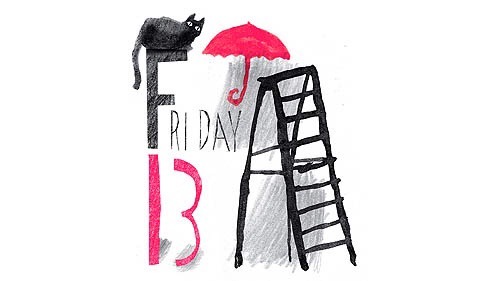 One other interesting fact is that this is the only Friday 13th we will have in 2016. Do you consider today ﻿to be unlucky? No I don’t. Never really been superstitious. Previous Post ﻿I might Lose Weight Eating This Cheesecake!